If you haven’t woke up to the Twitter sh*t storm this morning – let me take a moment to fill you in. Logan Paul (a YouTube star that my NINE YEAR OLD cousin is a fan of, but I’ve never heard of) made a very poor judgement call as he discovered a hanging body in a forest and proceeded to film it and upload it to YouTube. Idiotic, right? Exactly and most of the internet agrees. I didn’t know who Logan Paul was until this morning so forgive me I had a look in to who he is on wiki. Logan Alexander Paul (born April 1, 1995) is an American vlogger and actor. He first gained fame through videos shared on the internet video service Vine. Paul later branched out into acting in television and films. His television work includes a guest appearance on Law & Order: Special Victims Unit and a role in the comedy series Weird Loners. His film work includes the dystopian science fiction YouTube Red film The Thinning and the adult comedy Airplane Mode. He has also started his own brand called Maverick, named after his parrot. I have also been made aware that my 9-year-old cousin watches him regularly as he likes the music he makes with his brother (it’s all very “Disney Channel” style though). Well, after hearing what he did today, I can garuntee you that that kid won’t be watching him anymore. Everyone on twitter is in uproar because of his disgusting acts. He claims that he is human and makes mistakes – sorry buddy but any human with a bit of sense would know that it’s disrespectful to film and make jokes about a suicide victim. Anyone with a lower subscribe count would have had their account taken down for actions like that and rightly so. He hasn’t. YouTube clearly cares more about making profits than ethics. Logan has since deleted the video and apologised but his apology has been rejected by almost everyone on Twitter. #Logang4Life? Don’t think I’ll be hoping on that band wagon. His apology has been critisized by everyone – including celebrities like PewDiePie, Aaron Paul and Sophie Turner. Branding him as ‘pure trash’ and that his apology was ‘self-praising’ – which it was. So, to Logan Paul: There are plenty of ways to raise awarness of suicide and you do not need to film a hanging body to do it. Your 15 minute videos everyday for 460 days are completely irrelevant now. It’s been pretty clear that you have been working hard to rasie views by doing videos every day but believe me, that was a step to far. To anyone who is suicidal: don’t let people like this make you feel like your feelings are a joke and a game. To the family of that poor man: I am so sorry, my thoughts are with you. 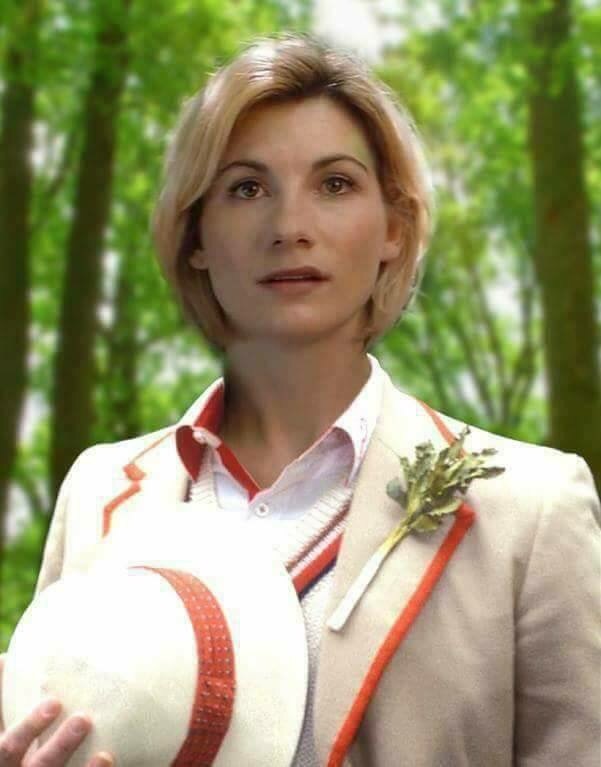 For the last feels days the whole internet seems to have been going wild over the Doctor’s regeneration into a woman… simply because she’s a woman. Really? To be honest, it got to Sunday and I was expecting everyone to be talking about the new season of Game Of Thrones but damn. I could not have been more wrong. 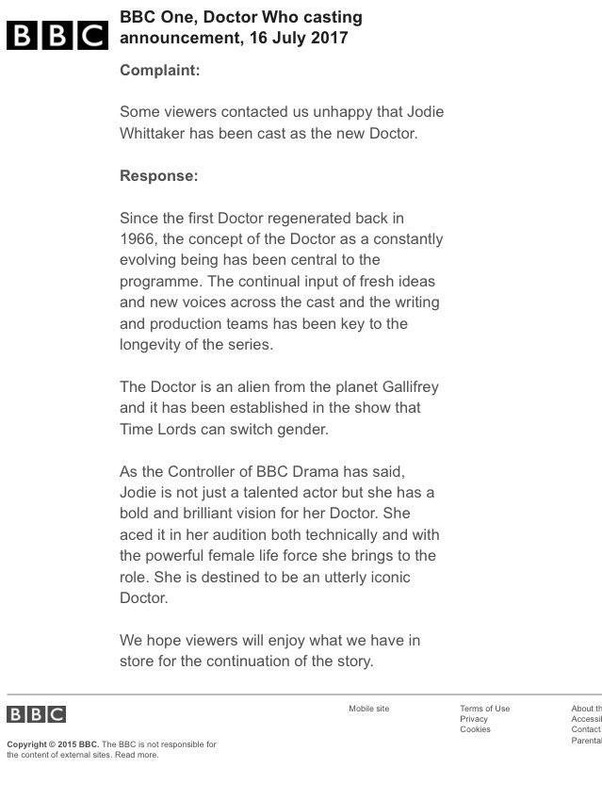 So, the casting directors of Doctor Who have cast Jodie Whittaker and I am one of what seems to be very few who are exceedingly excited by it. (Even of U.K. tabloids have published her nudes, she’s still amazing). Colin Baker backs her… hitting back at sexist tweets. 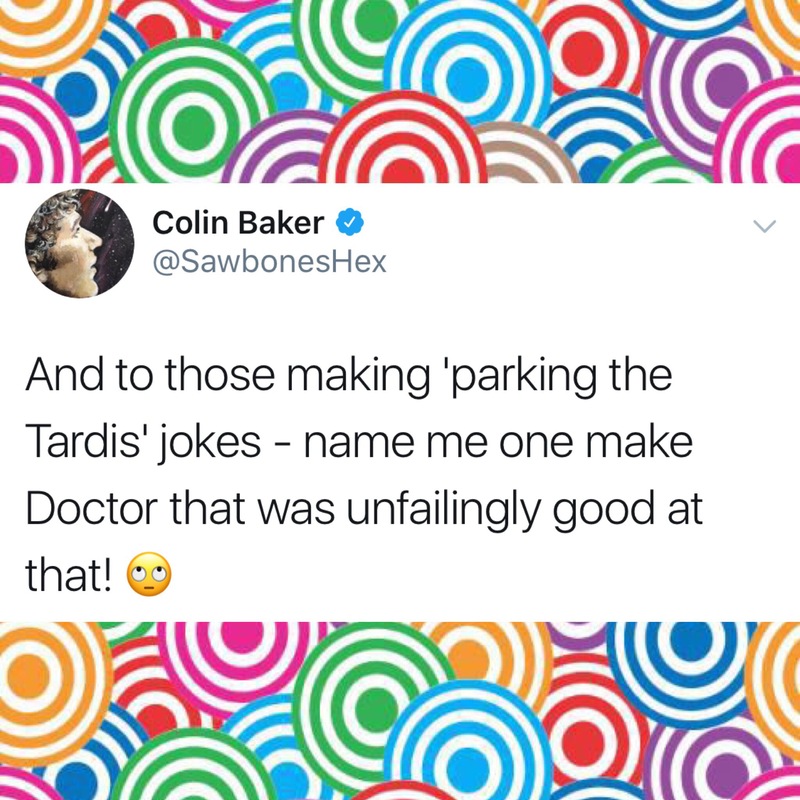 We all know the stereotype of women apparently being unable to park a car decently… urm may I remind you that River Song parked the tardis better than the Doctor? But what I loved most was Colin Baker’s response as he believes it is a result for a man with daughters. God, I love the old Doctors. 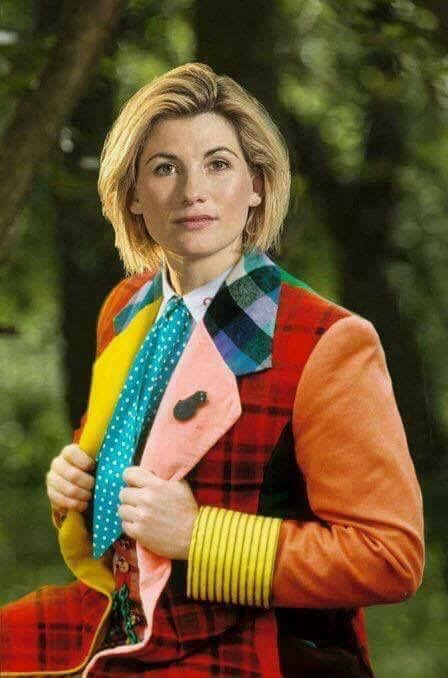 It has actually been said since the beginning that the Doctor can become a woman at any point – by the creators themselves. This was highlighted in the BBC’s response to the backlash… as well as the fact that she’s an amazing actress! But above all… she’s amazing all on her own. The man who made many mistakes. The man who was dragging the show through the mud. See all the mistakes he admitted here. Got anything you think I should be talking about, tweet me @kirstydgp, message my Facebook page or email me at thedowngradeproject@gmail.com. As today marks the last day of PCOS awareness month, I thought I’d share some of my experiences with the subject… in particular, the so-called “support” network that is offered on social media platforms such as Facebook. Don’t get me wrong, sometimes support groups are just what you need and some of the groups I have been a part of on Facebook were excellent. I was once a part of various support groups after I got my diagnosis on the 14th September 2015 but earlier this summer, I left them all. So I have gathered a list of 10 annoying things that contributed to my decision to leave these groups. We will have all seen sales representatives for these products on Instagram and Facebook. They have a nasty habit on praying on people with weight problems that have been caused by PCOS. I would often get messaged by people on Instagram and Facebook claiming that these products could “cure” me. Pft, the doctors can’t find a cure for this so what makes you think that you have some magical cure, found in a product that everyone is aware is a money grabbing scam? These products won’t help you ladies, stick to clean eating, exercise and balancing those hormones. This one did seriously grind my gears. Everyone in those groups are fighting the same battle and most women do struggle to stick to clean eating without the right kind of support network. This is why I didn’t understand why when people are trying to gather the strength to resist their hormonal cravings for sugary foods did some people encourage them to cheat on their diet? They do realise the cravings get worse when you give in to temptation, right? One of the biggest PCOS support groups I was a member of has this issue. Their admins had gained a high Facebook, Twitter and Instagram following which led them to dictate over everything – some women had their Diet Bet posts removed just because the admins wanted everyone to bet with them. Then they had the nerve to call the people who had their posts removed ‘childish’. HAHA! OKAY! I DIDN’T REALISE YOU LADIES ARE QUEEN OF THE OVARIES! 4. Your Story Is Not About You Anymore! You get this from people in everyday life but I thought I’d throw this in the list anyways. You could write a huge post describing your diagnosis and your struggle and I can guarantee some one will come along and compete with you on a level of how hard your struggle is. Come on ladies, everyone’s symptoms are different. 5. Everyone is SO HORMONAL! Mood swings. All girls have them but ironically our high levels of male hormones seem to make us more emotionally unstable… so… we set each other off when we get our knickers in a twist. Too many arguments when you’re getting advised by doctors who don’t know what they are talking about, that you need to relax more to be able to have a period. Am I right? Going to A&E over cramps… They’d laugh in my face. As for taking a pregnancy test… I don’t produce eggs so I’d love to know where this baby is going to sprout from. 7. Your Symptoms Are Wrong! I have many of these symptoms but not all of them. As different women have different hormone levels their symptoms vary. Different women can have a different ‘cocktail’ of symptoms but many women in these groups don’t accept this and claim your symptoms have nothing to do with PCOS when they really do. There is also a lot of suggestions for vitamins, supplements and prescribed medication but always check with your GP and Gynaecologist because although these treatments might work for one person, they might not necessarily work for you. 8. They Will Bring You Down! This isn’t all the women in the groups but I had seen a few women who would bring people down because they aren’t as collected and in control of their symptoms as others. It will make you feel weak and useless (and will definitely belittle your femininity). So much for the “support and positivity” right? On occasions these are great – especially the no make-up ones but when people say that the ‘no make-up selfie’ posts are shaming women who wear make-up… it gets a bit annoying. The groups are full of it and sometimes it’s so bad that women with success stories, such as pregnancies are asked not to post about them in the group because it ‘upsets other women’. I’d understand them being upset if it was a woman with perfectly functioning ovaries getting pregnant but these are women going through the same battle as us. Surely this is hope for the rest of us that should be celebrated? Right? Anyway, that’s my rant over but I will leave links to the groups I found the most helpful below.